Purdue University researchers have developed a technique that could be used to create “soft machines” made of elastic materials and liquid metals for robotics, medical devices, and consumer electronics. Think robots with sensory skin, or stretchable garments that let you interact with a computer, or for therapeutic purposes. 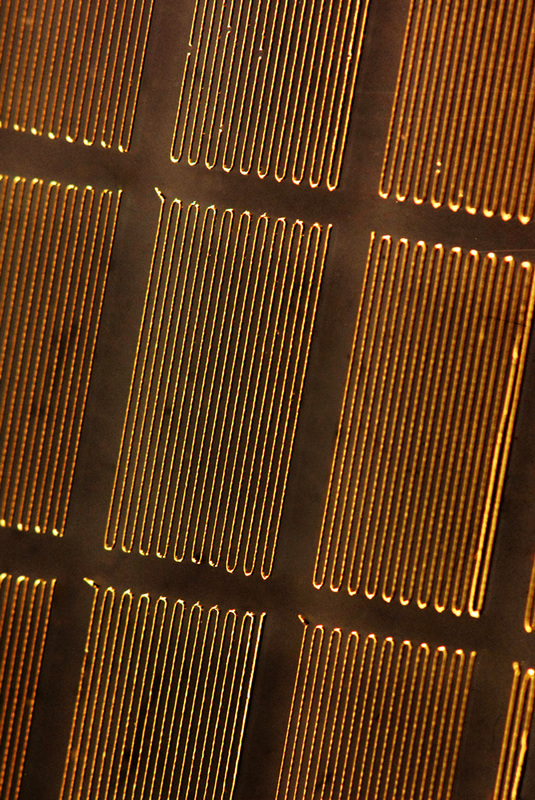 Rebecca Kramer, an assistant professor of mechanical engineering and her research team have used the technique to create strain gauges, which measure how much something is stretching. The researchers embedded liquid-alloy devices into a rubber-like polymer called polydimethylsiloxane, or PDMS, a silicon-based “elastomer.” The liquid gallium-indium alloy was used to create patterns of lines to form a network of sensors. However, the Purdue researchers have invented a method that takes advantage of the alloy’s oxidized skin. “We exploit this oxide skin by using it for structural stability. This means you can print liquid on a surface and it will maintain stable structures without moving around,” she said. Strain gauges measure how much a material stretches or deforms. Because conventional strain gauges are made of rigid metal film, they can’t measure more than a 1-percent deformation before breaking, whereas a soft strain gauge could continue stretching with the material, measuring 100 percent of a material’s strain. 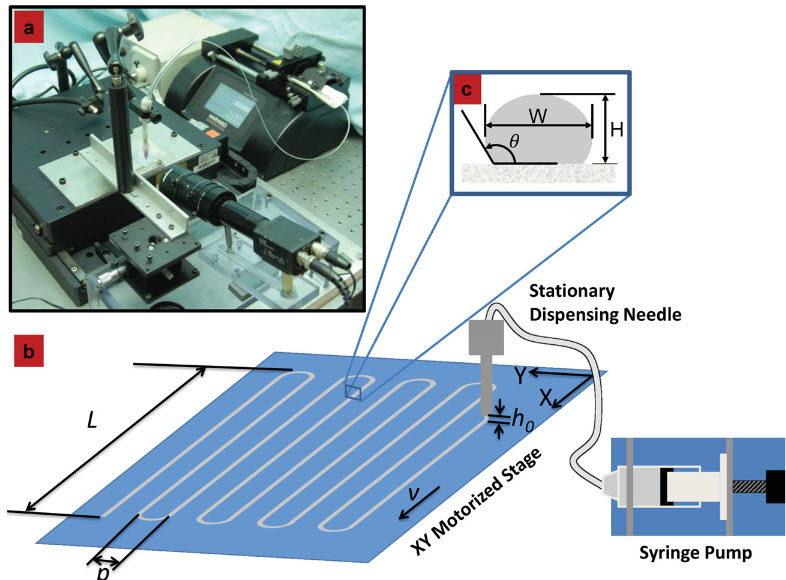 The findings are detailed in a research paper appearing in the journal Advanced Functional Materials, which describes how to use the 3D printer to create soft strain gauges.